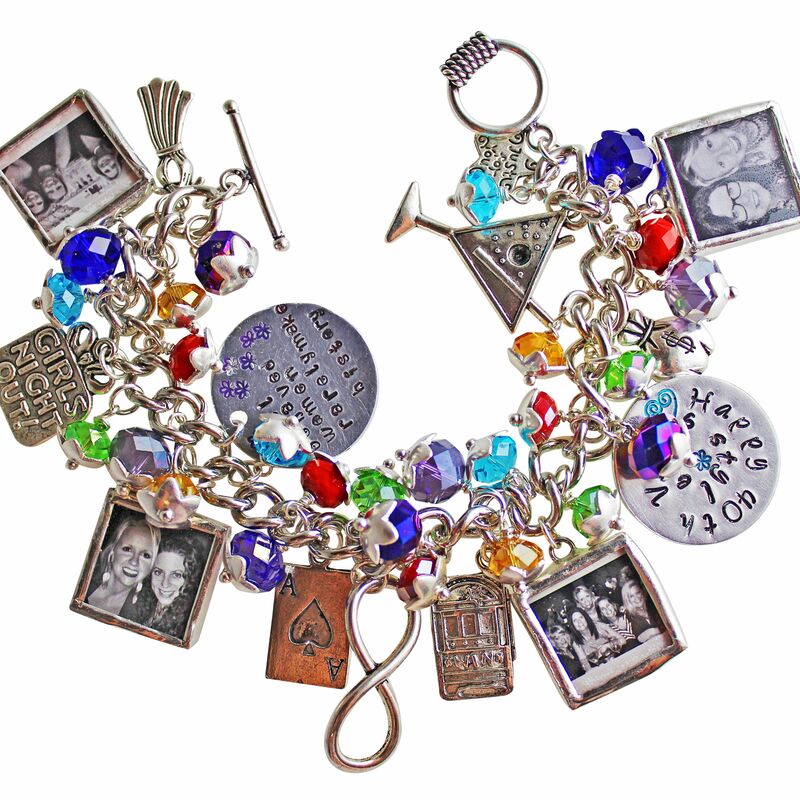 This bracelet comes with four 3/4 X 3/4", double sided photo charms (that's a total of 8 photos) with one bead with a bead cap per each link on the bracelet, in your choice of colors (style of bead caps is subject to availability). 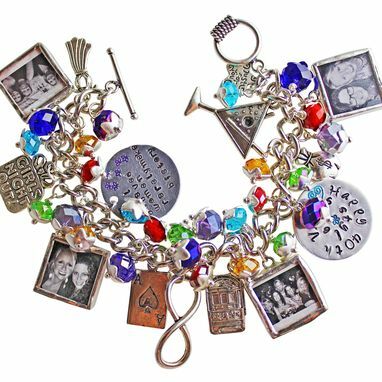 Plus 6 themed charms. 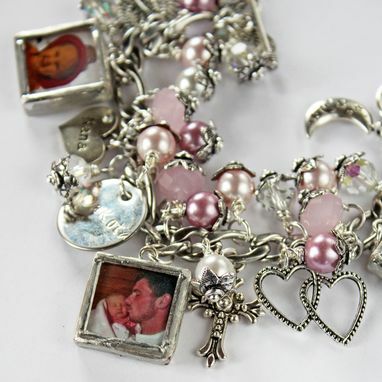 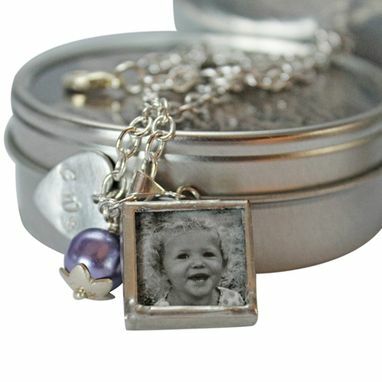 Each photo charm is hand made and framed with a soft silver solder, stainless steel chain and a pretty toggle clasp. 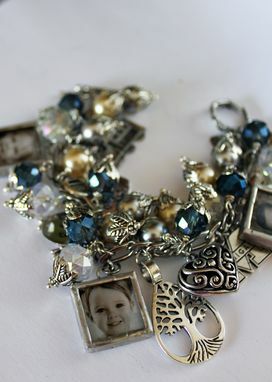 Don't hesitate to contact me with questions during this process.